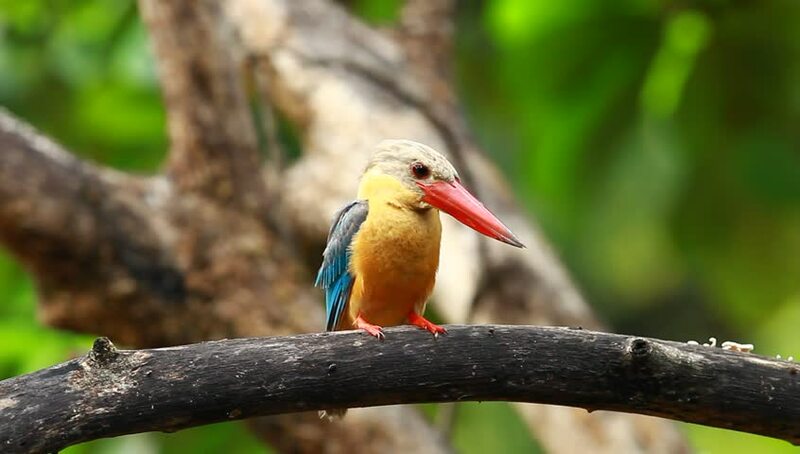 4k00:22Stork-billed Kingfisher Pelargopsis capensis Beautiful Birds of Thailand.on a green background. hd00:07Black-Capped Kingfisher has a purple-blue wings and back, black head and shoulders, white neck collar and throat, and rufous underparts. hd00:09Black-Capped Kingfisher has a purple-blue wings and back, black head and shoulders, white neck collar and throat, and rufous underparts.